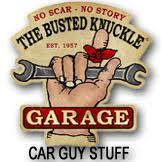 Remove the plastic oil filler cap and wrestle the original rubber gasket from it using a small pick or screwdriver. Make a duplicate of the gasket out of an old bicycle inner tube using scissors and a knife or razor blade. Install the duplicate on the cap first, and then the original over top of it. It will be a tight fit on the valve cover the first time, and may require some persuasion with a pair of pliers, but will get easier with time. My oil cap gasket is not pliable AT ALL! I don’t see any way to get it past the locking tabs on the cap without damaging it. Suggestion appreciated. Leave it there and ADD the flexible inner tube above it.